Isadore Cohn, 71, walked into his shoe shop on Delancey Street at 8 a.m., brewed a pot of coffee, and listened to the radio. Today it played foreboding music by Beethoven. He straightened the crisp white collar above his tie and smoothed a line of silver hair on either side of his head. In the mirror he glimpsed an old woman waiting outside. Her frizzy, gray hair glistened with snow. She wore a long, black coat. In a gloveless hand she held one boot. He unlocked the door. “A hundred fifty years.” No exaggeration. His grandfather had established Cohn’s Shoes for Women during the great wave of immigrants handicapped by language and lonely for missing limbs on family trees. His grandmother had scuffed through stories with abrupt endings and balanced her melancholy with “a silver dollar for Izzy” perched on her knee. Early on Cohn knew he was their Act Two in America. Every summer his grandfather took “Izzy” to the “blessed Statue of Liberty.” The statue’s right foot strode ahead of her left, her ankle chains broken off and kicked aside. “That’s what freedom looks like.” His grandfather also took him to the circus to watch men fly on a trapeze and a contortionist defy his skeleton. “Everything is possible in America,” his grandfather beamed under the striped Big Top. The old woman’s fingers were purplish-white from the cold. She wore sturdy, black shoes of a kind his grandfather displayed in his store window. An ancient pair still resided there as tribute to the girls who arched over sewing machines by day and English language books at night. Their daughters took the next step into American commerce, completing secretarial courses and getting jobs despite a male chorus: “Why should we hire you, sweetheart? You’ll just get married, get pregnant, and leave.” Modest pumps from Cohn’s clicked on the pavement toward their upward mobility. By the time he took over the business the number of women surging off subways into a new reality nearly equaled the number of men, and female toes were manicured. He fit them into stilettos so high the ladies had to balance as if on a tightrope. “Who are you?” Cohn asked, but she was gone, the long black coat dissolved into snowy, blowing cold, one of a hundred shadows on the sidewalk. The next day she came again. A cold wind rushed into the store with her. A yellowed photo appeared in his hand, marked on the back Pesach 1951. He was six years old at that Passover table, sitting between his grandfather and Uncle Joe with the round eyes and big ears. “Joe looked like an owl from the day he was born,” his grandfather used to say. Toward the end Joe trembled like a thick pudding, but on that night he read the Haggadah in unending Hebrew while Cohn’s stomach growled for the lamb roasting in the oven. Cohn stared at the photo as intently as he’d stared at his relatives in Joe’s mirrored dining room wall. At six years old he liked how the unframed mirror distorted reflections making people look like murky apparitions in a sideshow. He put his chin in his hand and watched his family morph into marvelous deformed creatures. Gestures that elongated their arms and incomprehensible Yiddish made it easy to believe they were aliens dropped from a spaceship into the wallpapered landscape. In fact, every relative had arrived on one nauseating ship or another and left steerage clutching a single suitcase and Joe’s address. “Brooklyn is the new motherland,” Joe proclaimed. “There isn’t a Jew in Europe who wouldn’t rather be in Brooklyn.” He gave newcomers a bed, sometimes in shifts, in his narrow brownstone. They stayed until the tidal restlessness that forever surged within the tempest-tossed landed them their own apartments. Then Joe gave a parting gift of pots and pans. The photo returned Cohn to the child eternally alive inside him. Every Sunday his parents had schlepped him to Joe’s house where all the family congregated for Aunt Dora’s stomach-expanding potato-rice casserole. She alternated layers of raw sliced potatoes, raw rice, and sliced onions in a deep dish, carefully dribbled in water halfway, and then poured rendered chicken fat over the top. As the casserole baked it filled the house with an aroma that made him think it was chicken he’d soon be eating. They couldn’t afford a whole bird every week. Delancey Street to Brooklyn was four miles door to door, but it may as well have been four times around the globe. Joe’s house had a lawn. The lawn bordered a sidewalk lined with round green trees. Sunshine glittered through leaves onto tiny gold plaques affixed to the slender trunks, each plaque etched with the name of soldier lost in WWI. Joe’s name was etched onto a plaque. He was mustard-gassed in the War, but lived to tell City Hall, which never corrected the mistake. Nature did. Joe’s tree succumbed with hundreds of others to Sudden Oak Disease. Then the city sawed the trees to stumps and parted many gilded heroes from shady memory. Cohn re-folded the photo along well-worn creases and exhaled a long sigh. Those relatives were deceased. His loyal customers weren’t getting any older, either. Friends had also departed, if not to heaven then to Florida or one of the necks – Teaneck, Mamaroneck, Little Neck. His wife’s death struck the final blow. “I’m lonely,” he confessed to the old woman, but she, too, had disappeared out the door, fast as yesterday. The rest of the week passed without incident. On Sunday he drove to Brooklyn for no reason except he hadn’t visited Joe’s house on East 46thfor decades. It was a shock. The neighborhood had devolved into a slum. The four concrete steps to Joe’s front door, steps Joe had kept pristine white, were chipped and filthy. A spare tire circled a tiny yard. And Flatbush Avenue, once grand with streetlamps plumed in pink flowers like feathered headdresses on circus horses, had become a drab thoroughfare clogged with trucks. That night Cohn made a liverwurst sandwich for supper and ate it standing at the kitchen counter. He contemplated a panorama of appliances now dusty monuments to his late wife: orange juicer, blender, waffle iron, crockpot. “Why not take tomorrow off if it’s Chagall’s last day?” the ghost of his wife said. Uptown the Guggenheim coiled a carousel of art in a concrete snake. It spiraled Cohn up a ramp the shape of a rattler’s warning. The first Chagall Cohn encounters makes him sad: a Russian ghetto surrounded by high walls. Within the walls a bedraggled Jewish town shivered in winter, its sunset frozen inside icicles, violet stars dotting a dark, moonless sky. Snow was falling on ramshackle houses with lopsided boards and broken windows, evidence of a recent pogrom. An upside-down movie house leaked reds and blues out its smashed door. A bearded man in a long black coat played a fiddle on the roof. On the other side of the shtetl wall, Chagall had painted the paradise he imagined there. A white church spire rose into bright blue sky and gold sunshine. A young woman in a lace dress sat in warm meadow splashed with wildflowers. “In a voice so sweet it could have converted the pigs,” said Dora, his sweetheart since childhood. A voice in Cohn’s head asked: What are you doing looking at paintings when stewardesses are landing on Delancey looking for bargains? Another voice in his head answered: I paid a small fortune for a taxi so I might as well stay. Chagall paints the past, present, and future as a three-ring circus. The central figure, the juggler, performs inside a circus ring that represents the present day. Note how you, the viewer, fit into the semi-circle of spectators. You see the back of their heads as you, in the second row, watch the juggler kick a black-booted foot high into the sky – which represents the future. The juggler’s other foot, on the ground, is bare. On the top of that foot the juggler balances a small, impoverished town, which represents the past. In one hand the juggler holds a metronome that symbolizes the tick of time. The huge, angel-like wings behind the juggler represent faith or hope, which can lift one above time and place. With these elements Chagall reminds us that as time passes it cycles between ups and downs, setbacks and comebacks. Cohn steps back from the painting. The juggler’s eye follows him. He puts his left hand into a trouser pocket and feels his lucky silver dollar there. Long, formless arms of sadness wrap around him. The juggler admonishes: You get one chance at life and you’re letting yours tick by? You have only to stick your head out the door and a hundred widows would smother you in briskets. At my age? The only thing I can wish for is a sweet death. Then may a sugar truck rumble over your side! May you have the death-honor of a namesake – soon! My wife and I had no children, I’m sorry to say. No one will carry on my name. All the more reason to marry again. Find a widow with grandkids old enough to make a new batch of babies. One that could be named for you. Take a crap in the sea. You take a fart in the sand! Born July 7, 1887, Marc Chagall was one of nine children. His father worked in a herring warehouse. His mother managed a sugar and spice store. The family lived in a poor Russian town near the border of Poland. Chagall studied art in St. Petersburg. In 1910 at age 23 he went to Berlin and Paris where he painted works considered some of his best. In 1914 he returned to Russia to visit his family. The outbreak of World War I prevented him from leaving for the next ten years. During that decade he designed stage sets in Moscow for renowned Yiddish writer and playwright Sholem Aleichem. Able to return to Berlin in 1924, Chagall discovered that valuable paintings he stored there had disappeared. Undaunted, he started anew, traveling and painting across the continent until Nazi occupation throughout Europe forced him to flee. He escaped to New York City until 1948 when he returned to France, his home until his death in 1985. The juggler regains Cohn’s attention: It’s high time you find another woman to love. Rattled, Cohn leaves the museum and hails a taxi. “What woman wants someone she’ll have to nurse in a few years?” he mumbles in the back seat. Cohn’s head bangs like the Rivington Street Synagogue, closed! and Ratner’s Deli, boarded up! Yiddish theater all but defunct! Barnum and Bailey Circus ended, finished forever! The tangibles by which he recognized much of his identity: gone! The taxi weaves past the “Chicken Soup Cures Everything” sign above Ben’s Kosher Deli and stops for a red light. The light turns green, the driver hits the gas, bobbleheads on the dashboard rotate like spectators as Cohn lurches back and then forward as though suspended on spinning ropes high in a big top. His memory soars over decades and lands on the slender edge of anticipation at one of Joe’s Sunday dinners. One look at the young seamstress Joe invited from his tailor shop on Seventh Avenue and he spilled his wine, his face as red as the spreading stain on Dora’s white tablecloth. Trucks rumble past loud as a drum roll. He catapults onto a high wire for that special aerial dance requiring grace and strength and the flexibility to trick gravity, no safety net below. He and the shy girl with big brown eyes hang in space as if by their ankles from a thin trapeze. They reach their arms toward one another swinging wildly back and forth, or so it seemed until they finally connected and floated as if guided on the tip of a painter’s brush above the swaying world. Oh, would he ever again feel that helpless feeling of falling in love? How he misses the wings of youth and the sensation of moving among millions of stars in startled air. The taxi makes a sharp right onto Delancey and zooms past the last kosher bakery, a tattered sign in its window: Old Style Rye. Authentic Strudel. “Since when did something authentic need a label?” his mother had asked. “I remember when homemade was the only kind there was,” his mother marveled. “Keep the change,” Cohn says and thinks if he puts himself in the right frame of mind maybe he’ll meet a nice woman. Perhaps two arms were reaching for his this moment, this very moment passing into the next moment, and the next. You never know when something wonderful might happen, something that makes you want to contort right through yourself and risk safety like a flying Wallenda. What was the point if you couldn’t share the greatest show on Earth, each moment seeming to pass faster and faster at his age, the next moment ever more precious than the last. Author’s comment: I wrote a draft of this story when I was 23. My mother had just died. And the lower East Side, an anchor of my identity, was changing. The old woman came to me with one boot. That’s how I felt – half unprotected by my mother’s death, and half- protected by her memory. Decades later I understand more about how our inner life keeps us grounded as we frantically hop through a day always hoping and reaching for a desired future. Joyce Madelon Winslow’s short stories have been published in the Best American Short Story collection, won the Raymond Carver Award, the River City Award, the F. Scott Fitzgerald Award, an NEA grant, and two DC Commission on the Arts grants. 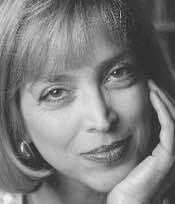 She taught journalism as an Associate Professor of English Literature at the University of Pittsburgh and served as Commentary Editor for the nonpartisan, nonprofit RAND Corporation. She co-authored a book with a former Secretary of Defense and now writes Op-Eds for private clients including CEOs of Fortune 100 companies. Sixty of her Op-Eds have been placed in top-tier newspapers in the last two years. View More: Next piece "Full Circle", Home, Archive.